A new study out of Vanderbilt University and published in the Proceedings of the National Academy of Sciences sheds light on the link between violent crimes and brain trauma. The study specifically focused on people with brain tumors, brain bleeding, and/or a stroke and linking this to a sudden change in their behavior, late in life, and ultimately finds that lesions in different brain areas are associated with criminal behavior. In the study, researchers identified 17 lesion cases—relying on a technique known as “lesion network mapping”—to create a criminality-associated connectivity pattern, which included regions involved in morality and value-based decision making. Their results suggest that lesions in criminals occur in different brain locations, but are also localized to a unique resting state network. Specifically, researchers found that some brain lesions connected to brain networks involved in moral decision making could predispose someone to criminal behavior, which could have significant legal implications in the field of criminal defense. Neuroimaging is playing a stronger and stronger role in criminal court cases every day. Previous studies have used brain imaging to demonstrate that there are frequently brain abnormalities in criminals. However, they have not yet been able to pinpoint whether they are a cause, or simply an incidental correlation of the criminality. The approach known as “pseudo-psychopathy” has historically studied criminal behavior that follows focal brain lesions. However, the temporal association between the lesion and the criminal behavior has still remained unclear. For example, while individuals who have committed certain crimes have shown to have correlations in terms of damage to their frontal or temporal lobes, there has never been a widely accepted explanation for this occurrence to date. Conversely, researchers have found that a newer technique—termed “lesion networking mapping” —can potentially explain these effects, and help explain phenomenon such as delusions and loss of consciousness. This new study builds on reporting a systematic mapping of lesion locations temporally associated with criminal behavior to see whether these lesions are part of a common brain network and whether this network overlaps with regions hypothesized to be abnormal in criminals. The results—which provide startling insight into the neurobiology of criminal behavior—could very we; have significant impact on defending those who have been accused of committing violent crimes. 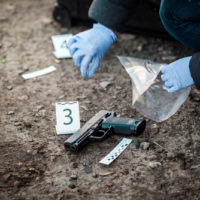 If you have been charged with a violent crime, you need to work with an attorney who understands how the latest science connecting physiology and behavior can affect your defense. Phillip J. Murphy has been representing clients throughout New York and New Jersey for more than 25 years, and understands how important these studies are. Contact us today to find out more.